Our long term interest is in building inference algorithms capable of answering complex questions and producing human-readable explanations by aggregating information from multiple sources and knowledge bases (sometimes called “multi-hop” inference). The resources provided here in the Explanation Bank are intended to help others with similar interests in explanation-centered inference, and will be regularly updated as we generate more resources. This is the September 2017 snapshot of the Worldtree corpus of explanation graphs, explanatory role ratings, and associated tablestore, from the paper Worldtree: A Corpus of Explanation Graphs for Elementary Science Questions supporting Multi-hop Inference (LREC 2018). Explanation graphs for 1,680 questions, and 4,950 tablestore rows across 62 semi-structured tables are provided. This data is intended to be paired with the AI2 Mercury Licensed questions, which requires agreeing to an accompanying EULA before use. Two versions are available, one with the Mercury questions (and a large PDF of the Worldtree visualization), and one without. A separate Scala API is also provided to ease parsing and use of the corpus, as well as replicate the analyses and visualizations in the LREC2018 paper. This is the supplementary dataset for the paper Multi-hop Inference for Sentence-level TextGraphs: How Challenging is Meaningfully Combining Information for Science Question Answering?. These ratings were used to generate average utility ratings in Tables 2 and 3. This archive also contains an expanded copy of the paper with an Appendix showing additional analyses for the 2-sentence aggregation scenario. This is the supplementary dataset for the paper A Study of Automatically Acquiring Explanatory Inference Patterns from Corpora of Explanations: Lessons from Elementary Science (AKBC 2017). The dataset contains: (a) common explanatory patterns (i.e. patterns found more than once) in the first 800 questions of the September 2017 WorldTree corpus described in Section 3.1, and (b) A fine-grained characterization of reconstruction quality by number of edges in the gold graph, as an expansion to Figure 4. This is the dataset for the paper What’s in an Explanation? Characterizing Knowledge and Inference Requirements for Elementary Science Exams (COLING 2016). 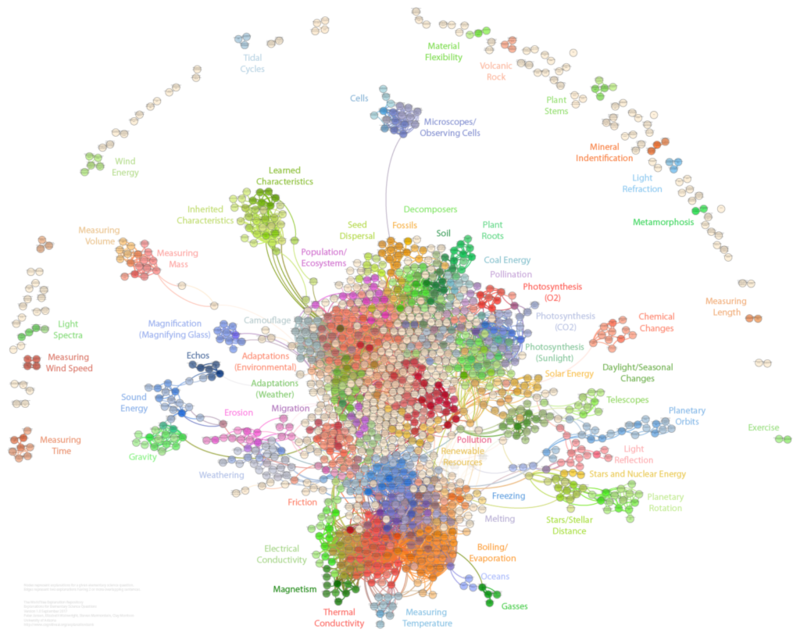 The data contains: (a) 1,363 gold explanation sentences supporting 363 science questions, (b) relation annotation for a subset of those explanations, and (c) a graphical annotation tool with annotation guidelines.